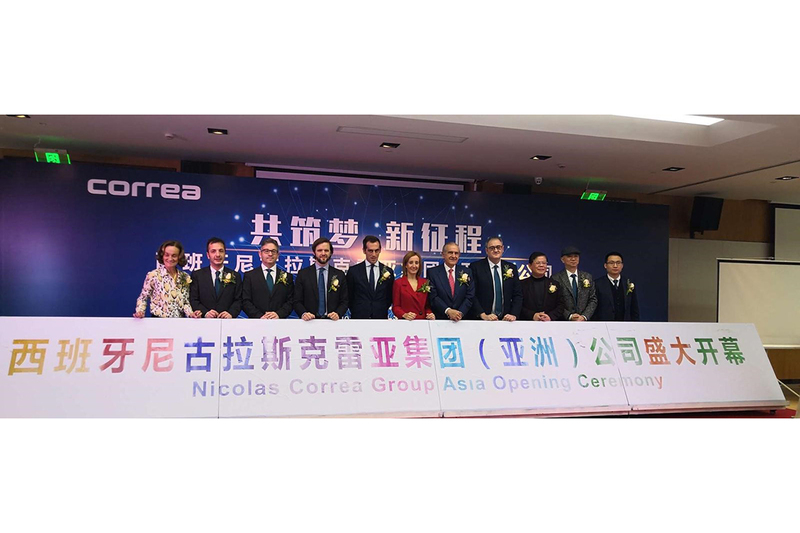 The industrial group Nicolás Correa inaugurated, on the Saturday 19th, their new subsidiary in China. To the opening ceremony attended several authorities including the Vice General Manager of the Shanghai Waigaoqiao International Trade Operating Centre, Mr Wang; and, Alfonso Noriega Gómez, Chief Economic and Commercial Counsel in Shanghai from Spanish Government. Over the last 35 years, Nicolás Correa Group has installed more than 400 milling machines across China; most of them under correa trademark. Furthermore, GNC commenced a joint-venture in the city of Kunming, where there are manufactured some machine models under the trademark correa km. GNC Asia’s opening represents another step forward to consolidate the company’s leadership in the Chinese market, the largest machine tool purchaser with over 40% of the world consumption. On account of this, the subsidiary employs more than 30 people and expects a constant growth in the next five years. Ignacio Alfayate, GNC Asia’s CEO, highlighted that the objective of Nicolas Correa is not only to provide reliable machines but also to offer milling solutions. In order to ensure higher milling machine’s performance and a quick response. To this end, GNC Asia has a multidisciplinary Spanish-Chinese team highly qualified. Furthermore, the new facilities include a clean room for milling heads repairing and a spare-parts and milling heads’ warehouse. GNC also offers connected machine services, such as tele-diagnosis and VIXION monitoring and analytics system.